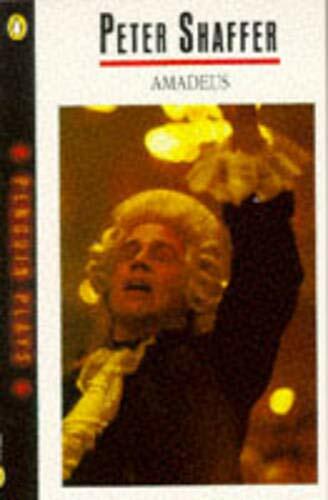 This play takes the probable apocryphal legend that Mozart was poisoned by a rival composer, Antonio Salieri, a relatively moral and highly-regarded court musician and teacher who could not live with the fact that God had given him the power to appreciate the greatest music but had chosen such a horrible little sod as Wolfgang as his literal instrument. Really enjoyed this script of the play. Cleverly written, and you can almost see the stage changing. Vivid characterisation of both Salieri and Mozart. Will try and get hold of the DVD of the film sometime. I found the book in the Royal Exchange theatre. Having read and loved Shaffer's 'Equus' I decided to take it home. The style is skillfully musical without resorting to gimic, and the the plot is engaging and creative. I would loved to see this produced on stage, and will make an effort to watch the screen adaptation. Am releasing today in Manchester University's faculty of Arts.